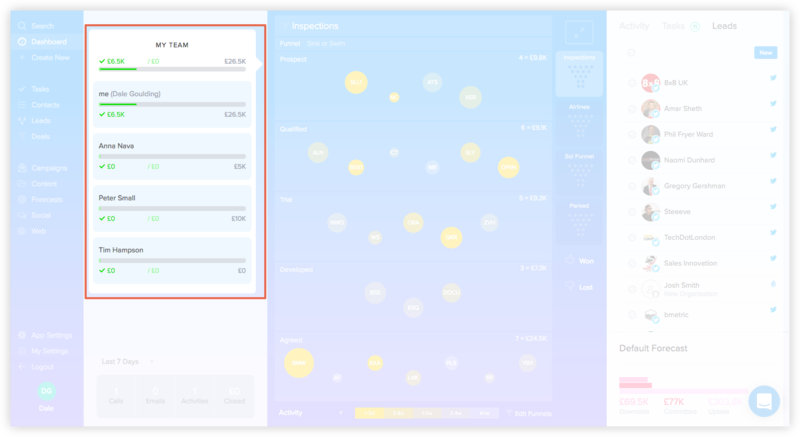 Once you've added all of your users the next step is to choose what Dashboard type each user should see when they login to SalesSeek. To access the user management section of SalesSeek you must be an Administrator. Next to each user, you will see their current User Type. By default all users will be given the Team dashboard. To change the current dashboard for any user hover over the current dashboard name. An edit button will appear. There are 6 dashboards to choose from. Shows a collaborative view of all deals, leads and activity regardless of ownership. This is the same's as the team dashboard above but only displays deals and leads owned by the current user. All activities are displayed. This view shows the users own deals as well as deals marked as Elephants. 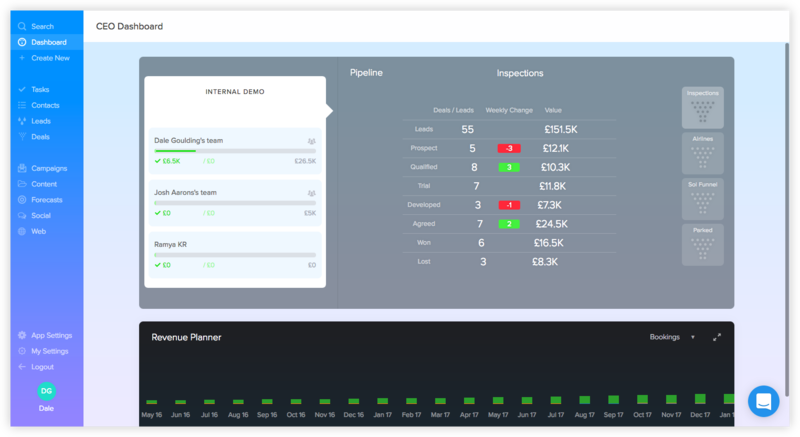 The Sales Manager dashboard also shows the individuals and teams below the current user in the Team Hierarchy. 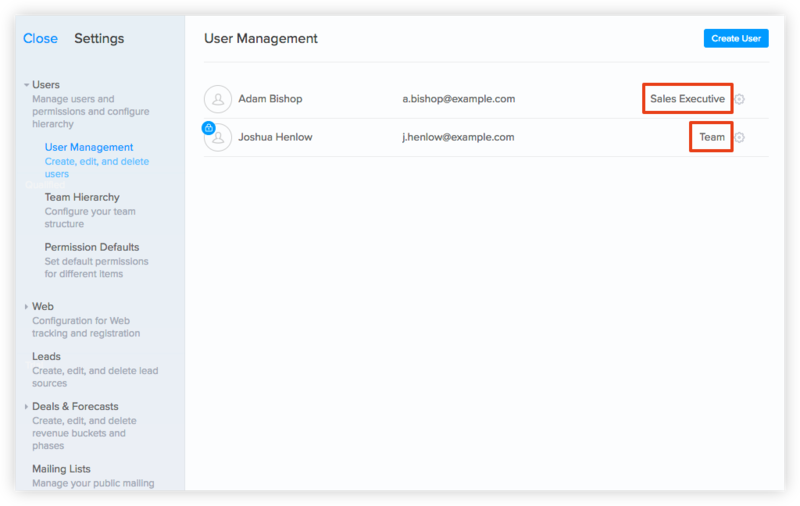 Note: If there are no users below them in the Team Hierarchy the Sales Manager dashboard will default back to the Sales Executive Dashboard. 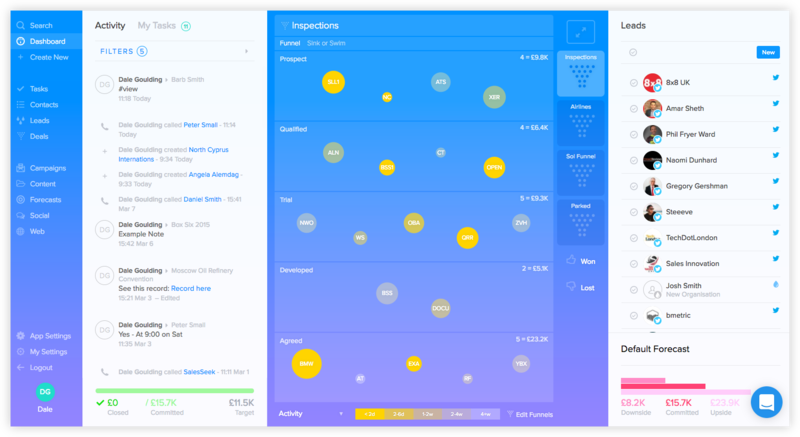 A process-focused dashboard that is made up of four columns. 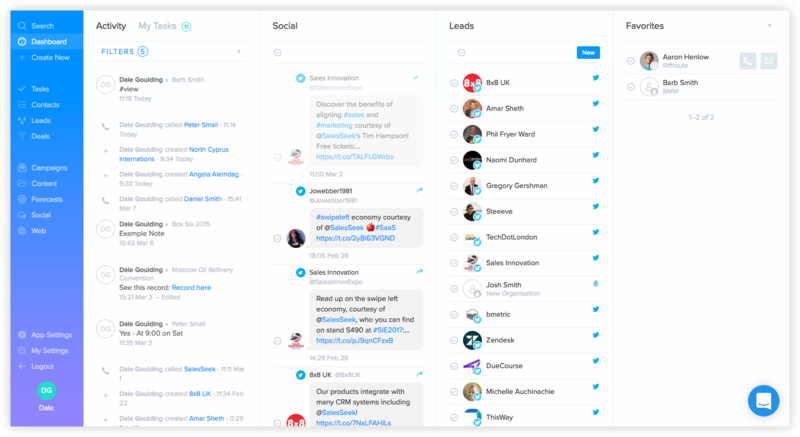 Activity, Leads, Social and Group. Designed to allow easy access to recent activity and contacts as well as list objectives to archive. This dashboard allows in-depth analysis of all the questions that might be asked of marketing. 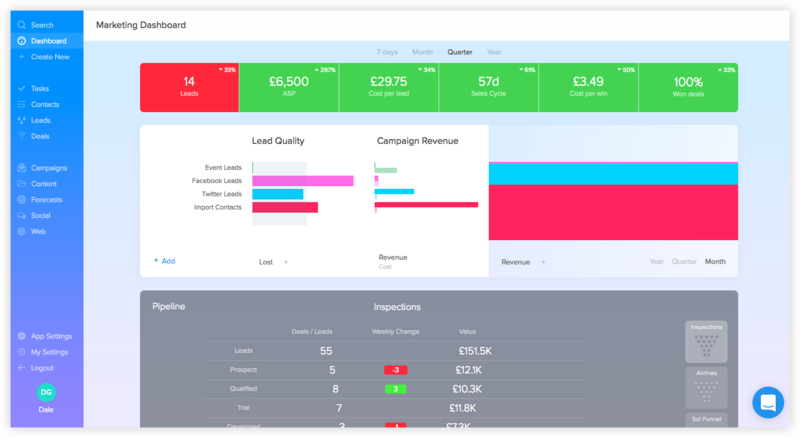 Providing six Key Performance Indicators (KPIs) from data in the system as well as tools to access the Return on Investment (ROI) and viability of different lead sources and campaign types. This is a high-level view of the business providing key statistics and allowing planning over revenue generation going forward. The CEO dashboard also allows drilling-down through the hierarchy to any individual sales team or persons funnel for a pipeline health check.